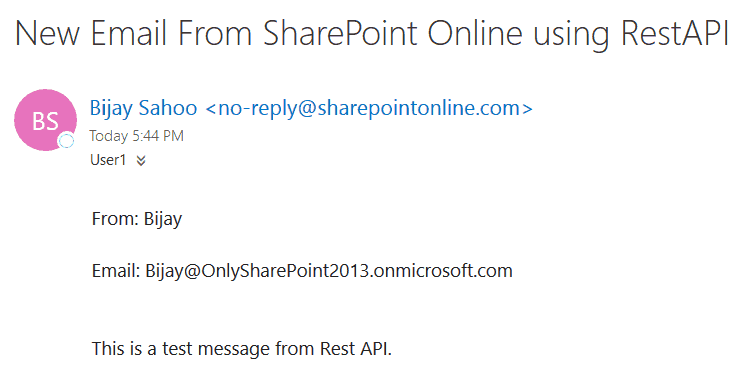 How to send email from SharePoint Online using Rest API? In this post, we will discuss how we can send email using the rest API in SharePoint online or SharePoint 2013. Here in this example, I have created a sample contact us form. Here there will be three fields and a button. On click of the button, it will send the email. Here I have added the below script to a web part page in a script editor web part. Previous Article SharePoint 2016 error while removing Apps Sorry something went wrong. Please refresh the page and try again.